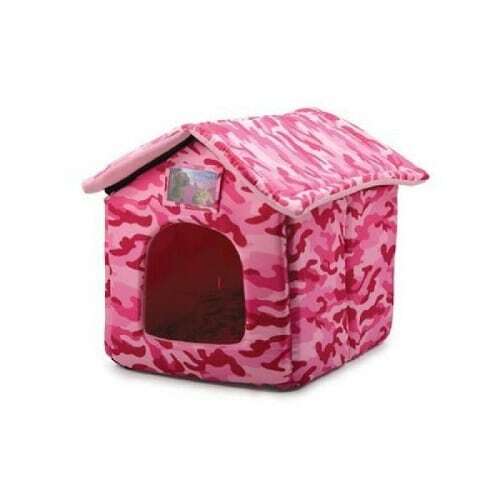 Cat house bed available in blue with a moon and stars roof or in a fun camouflage pink. Machine washable. 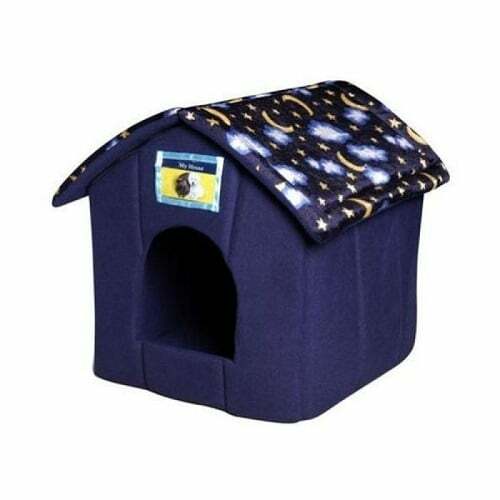 Cat house bed by Ancol Just 4 Pets House. Available in blue featuring a stunning roof with a moon and stars design on it. Also available in a fun and colourful pink camouflage. Give your cat, kitten, small dog or even a rabbit a cozy, comfortable retreat. This warm den provides your special pet with their own space, great for an undisturbed nap. There is a separate and removable cushion. The cat house bed has padded sides, roof and base. Above the door is a small protected window where you can put your pet’s name or photograph. The bed comes apart for ease of washing and it is also machine washable. The Cat House bed folds flat for easy transport and storage. The measurements are approximately length 40cm x height 40cm x width 34cm. The door opening measures 18cm x 18cm. 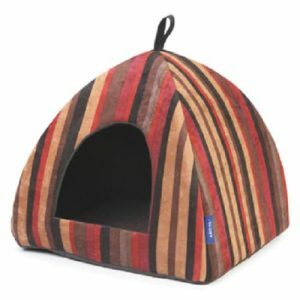 Pyramid Cat Bed – Cosy and comfortable in a stripe design.